Be it for status symbol or for showcasing your brand selection, wearing the most expensive watch will always keep you in the limelight. With handful of luxury watch brand in the world, Vacheron Constantin stands out for its sheer marvel of engineering and luxury design. 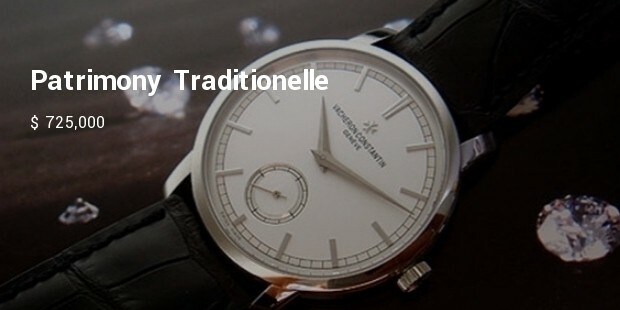 If you have enough money and looking for most expensive Vacheron Constantin watches, then below is the list. Created in 1979, this $11 million diamond encrusted elegant watch is one of the finest and most pricy products by the brand. 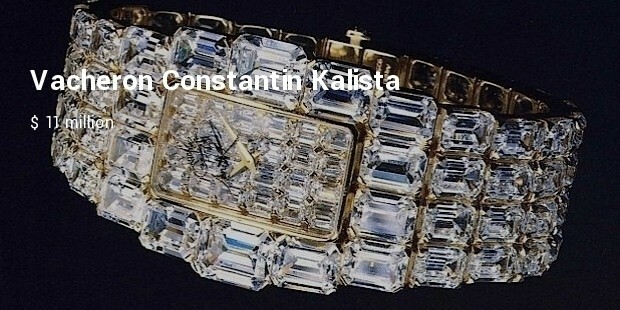 The watch features 118 emerald-cut diamonds and the company needed 6,000 man hours, additionally 20 months for encrusting of the jewels and complete this elegant Kalista watch. This product was produced as the most limited edition by the brand. With only 7 pieces, the brand introduced this edition on its 250th anniversary with the price tag of $1,538, 160. The piece comes with two faces (front and back) to make rooms for many displays. 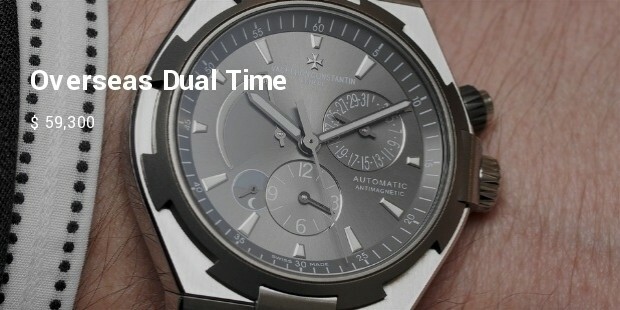 The watch features, second time zone, perpetual calendar and other features. This grand complication watch adorned with brown alligator band, silver dial and rose gold case weighing 18 carats. 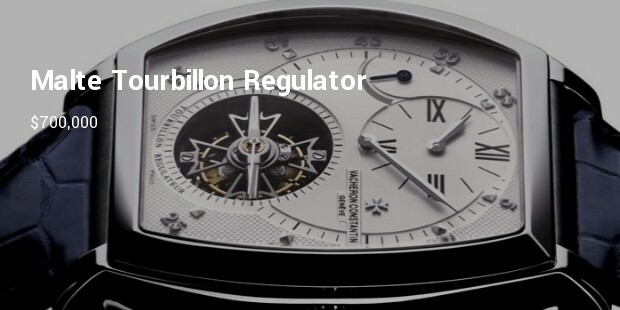 The price comes with the price tag of $725, 000, this luxury watch functions on hours, minutes and seconds on tourbillion. 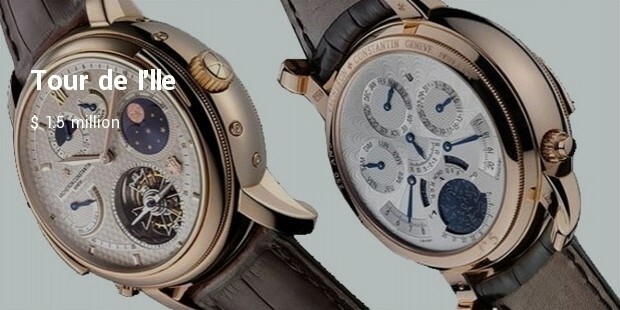 It also features minute repeater, perpetual calendar and power reserve. 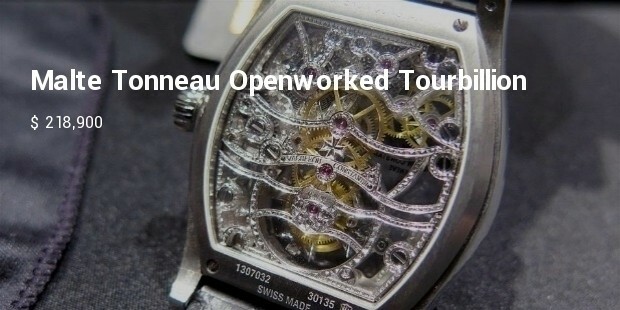 This tonneau shape watch features tourbillon and black leather strap. 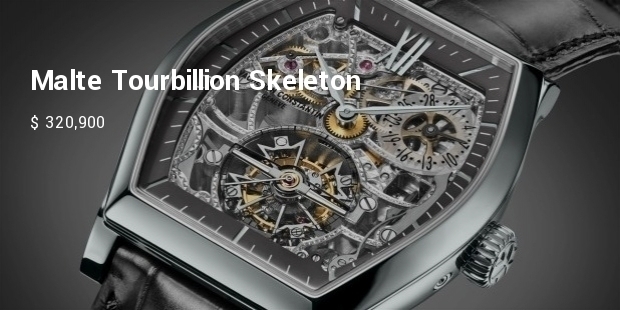 With the price tag of $700,000, it has 263 bagutte-cut diamonds and 274 similar cut diamonds in the case. This one from Vacheron Constantin has high jewellery collection. If you are ready to dig your pocket and pay high price for this luxury looking watch then choose your collection from Vacheron Constantin and stand out from the crowd.